This is the incredible story of a French love affair: Transforming a sleeping beauty 17th-century castle in Normandy, to an equestrian playground for some of the best international sporting mares and their offspring. “This place can easily be described as a romance, it’s all about the love of horses and a passion for architecture, design, but most of all; joie de vivre,” owner and founder Bolette Wandt willingly confesses, while in the process of re-discovering the history of the century-old Estate to bring back the distinct and exciting warm scent of horses, softly blending with the richness of leather, apples, cider and oak-timber; evoking and creating memories at the very same time. We are in the heart of Normandy, Northern France, one and a half hour’s drive west of the hustle and bustle of Paris, Château de Fontaine appears, nestled on a 132-hectare ancient foliaged terrain of orchards and oak trees of dotted with fenced green fields and glittering ponds. 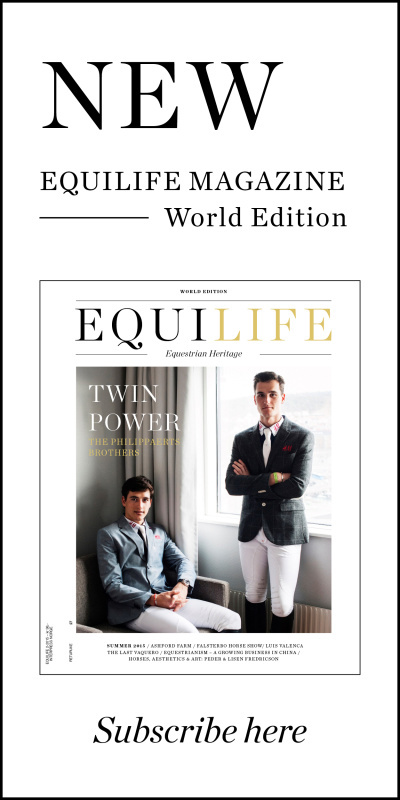 The Estate extraordinaire was discovered in 2014 by the Danish couple, Bolette and Jeacob Wandt, who lost their heart to the property and began its revitalization, transforming it to become a welcoming and inspiring setting for both horses and humans. Their ultimate aim throughout the project has been to “invite people in, tread lightly and to preserve the authenticity of the château and region as much as possible”. The beauty of the Estate is not easily missed, but it’s taken creativity, a good eye, and a clear vision to take on the transformation of the historic château and still keep its character in tact. Not only is the estate home of red deer and wild boar in plenty, it’s also the founding place of Château de Fontaine Hara dressage, Wandt stud farm, which lets ambitions run bold: Breeding some of the best young dressage mares in the world, while they are pursuing their international sport careers at the very same time, via most recent technology. 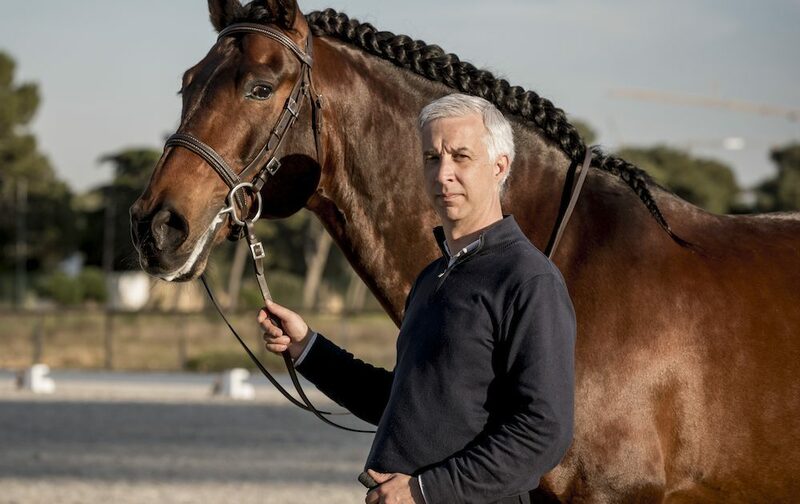 “We specialise in breeding dressage horses of the highest standard, from elite sports mares currently competing,” she says, “What sets us apart from most, is how we let the unique quality of our mares and their own performances play centre part, rather than the nationality of their studbooks,” Wandt says firmly. The Château de Fontaine Haras Dressage Stud currently holds 9 high-quality sporting dressage mares, handpicked all over Europe, and their offspring, among them, are and Florentina (by For Romance x Sandro Hit), Price Highlight of the 2016 Westfalian Autumn Elite Auction as well as superstar Florina who earned fourth place at the 2015 World Breeding Dressage Championships for Young Horses with an 8.82 total, under Claudia Ruscher. Just one month later the highly talented mare also placed fourth at the 2015 Bundeschampionate in Warendorf, Germany. Just to mention a few. On average not more than 5-6 years old, each the mare’s are superior quality dressage performance horses in their own right, having earned amazing sports results across Europe and holding even greater promise in their on-going sports career towards the highest international level at Helgstrand Dressage, Denmark. “We are proud, but also often humbled to be able to introduce such a very special selection of horses, it’s such a joy and inspiration but also a responsibility,” Wandt declares,“ partnering up with Helgstrand Dressage we get access to a level neither of us could achieve on their own” she says, “to have someone like Severo Lopez, who came fifth at the Rio Olympics to mentor the development of our horses is a dream come true” she confesses. 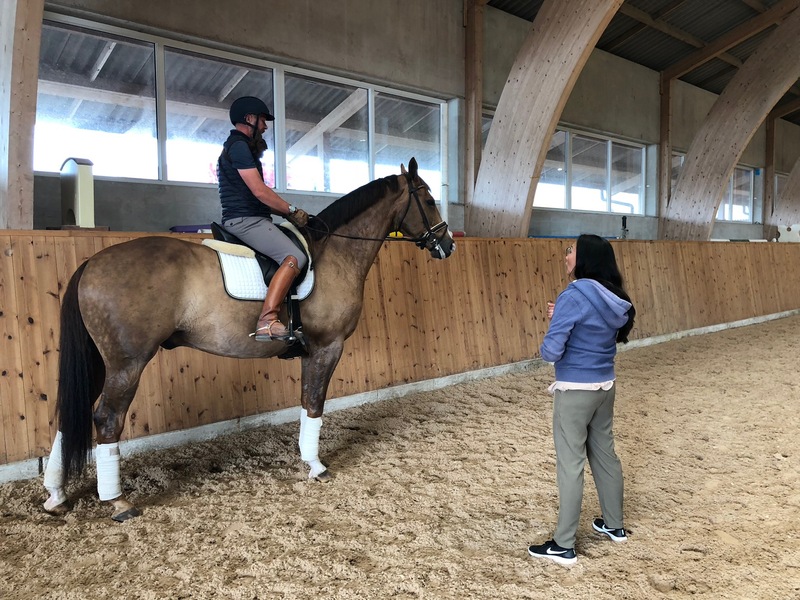 At the Haras Dressage they see selective breeding as essential to produce performance horses, in demand. “By selecting the best of the young up-and-coming mares and stallions of modern bloodlines, our aim is to produce offspring who will stay relevant for generations to come,” Wandt says as the studs second and biggest year of foals is due this year, a total of 18 foals, sired by Revolution, Franklin, Grand Galaxy Win, Vincent Maranello, El Capone as well as Don Deluxe. 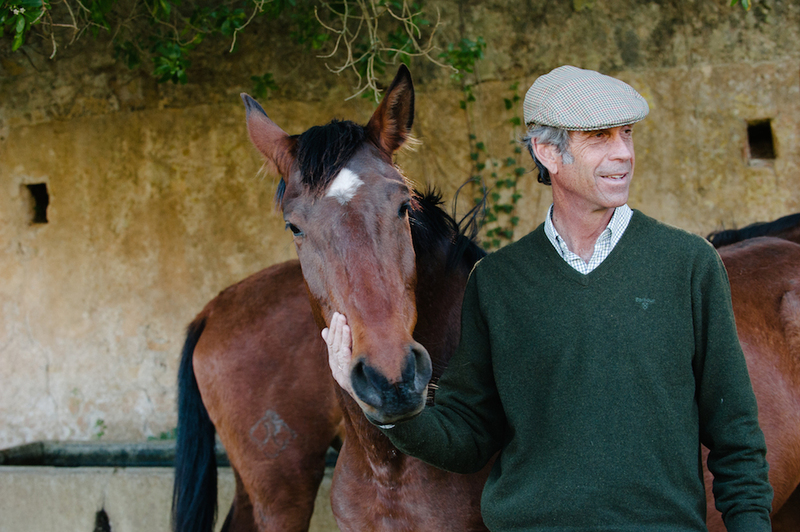 The upcoming generations of foal and youngsters will undergo careful selection and receive the best care possible under the watchful eyes of the stable manager, graduated from Hara’s du Pin, and his qualified staff. 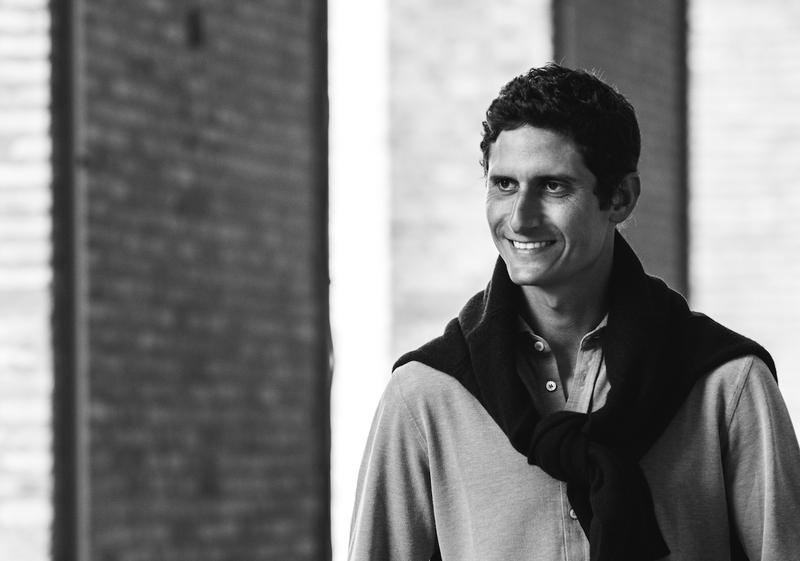 “Drawing from the equestrian culture genuinely rooted in the region, is a continuing source of inspiration to us. 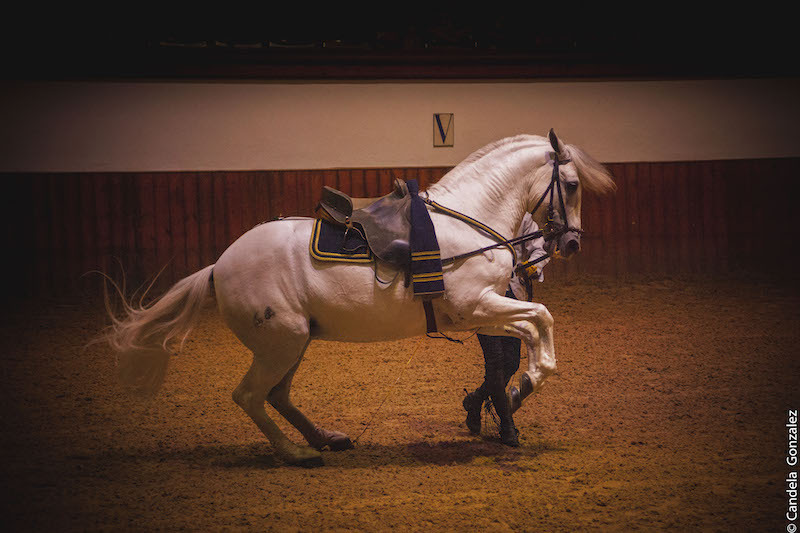 Not just the horsemanship but the strong sense of culture rooted in the region as well as their wonderful Percheron stallions,” Wandt say’s. “I want nothing more than for us to re-introduce the Percheron to the Estate, to work in the orchards, ”she passionately declares, pointing towards the current building site, where builders are in the process of developing new spacious light- flooded stables including lab facilities as well as an indoor arena with a spacious entertaining area, living facilities and a terrace with the most wonderful view overlooking the outdoor arena, while the old trees on the hillside produce a magnificent backdrop, perfect for events and togetherness. “I genuinely feel we’re setting new standards, inviting people in, creating a melting pot of fine food, furniture and that international vibe of city life in London or Paris” Wandt openly confesses.